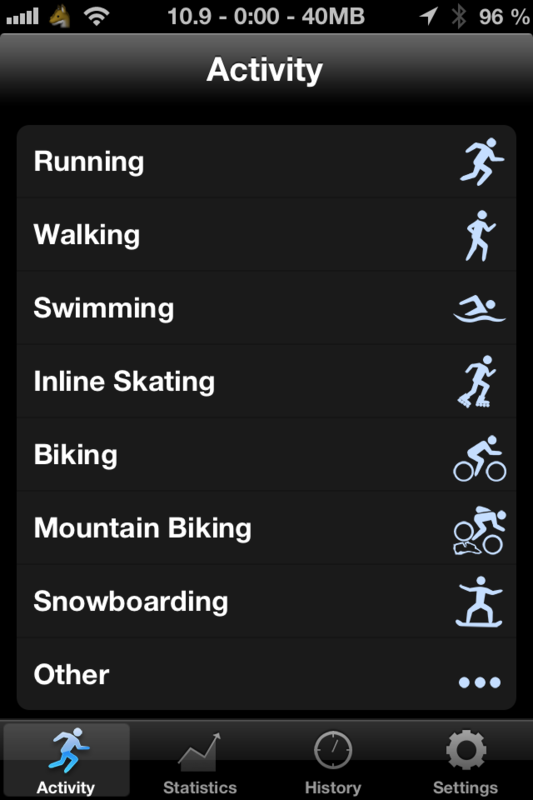 There are different activity types available such as running, biking or swimming. All important information such as time, distance, calories, velocity and pace will be displayed to you in a sleek design. 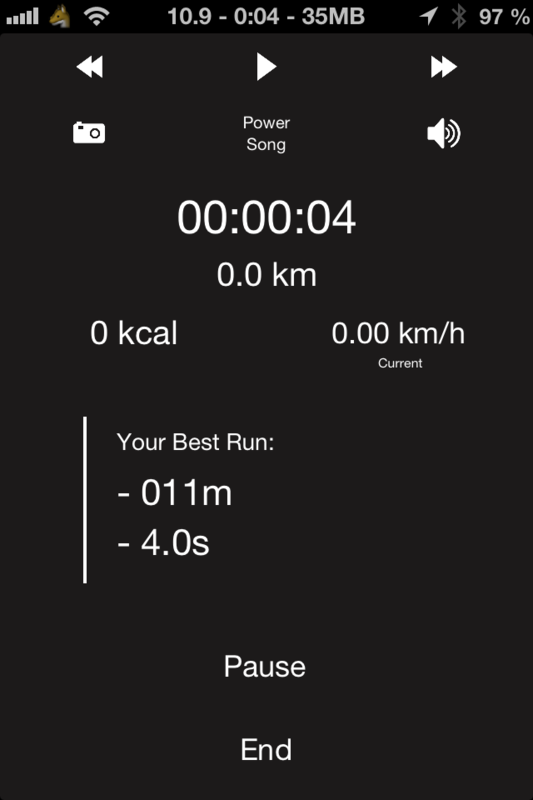 You can control you music while running and there is even a power song. Audio feedback tells you how long and far you already have been active. ReRunner tries to use little power in case you are on low battery. A unique feature of this app is that you can compare yourself to older runs or your friends. You will be displayed how far you are ahead or behind and how much time it'll take to catch up. Review your old activities and see how far you ran, how much time you needed and a lot more. 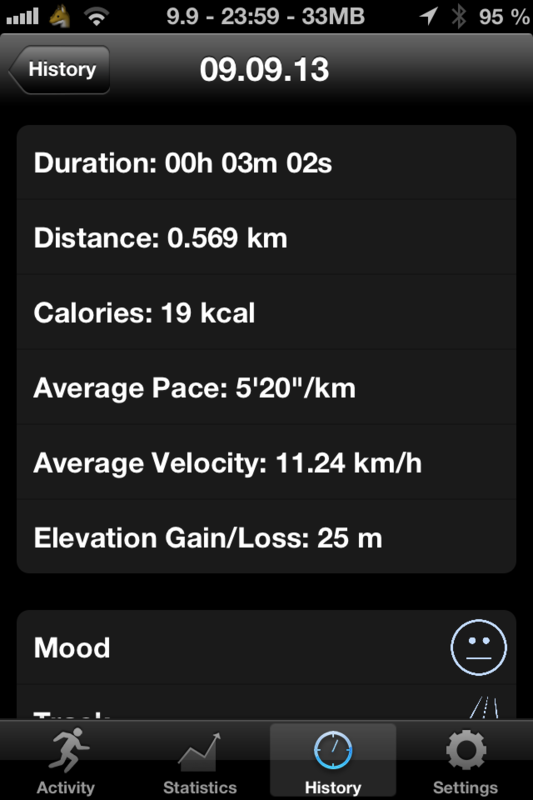 You can save your mood, the track type and weather for each activity. Weather data is downloaded automatically so you don't have to look it up. You can also review the track you ran on a map. 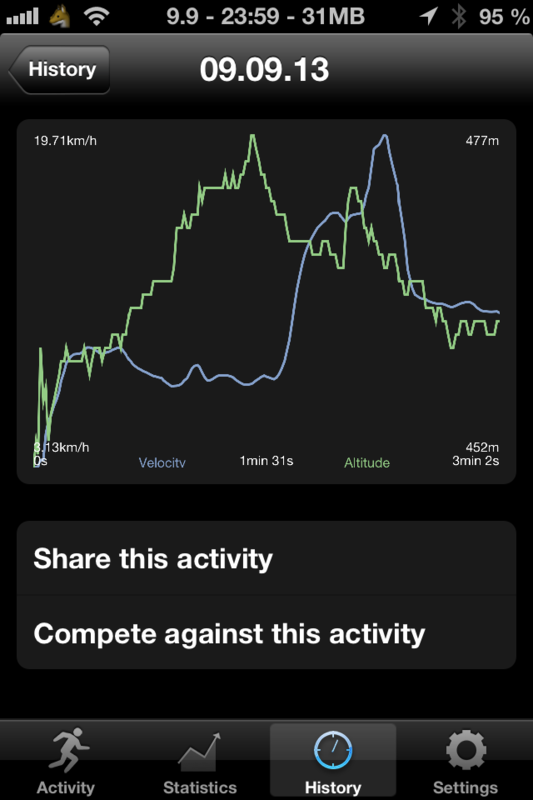 Get a detailed chart about the velocity and altitude so you can examine your activity. Share your activities with your friends and see if they can beat your time. 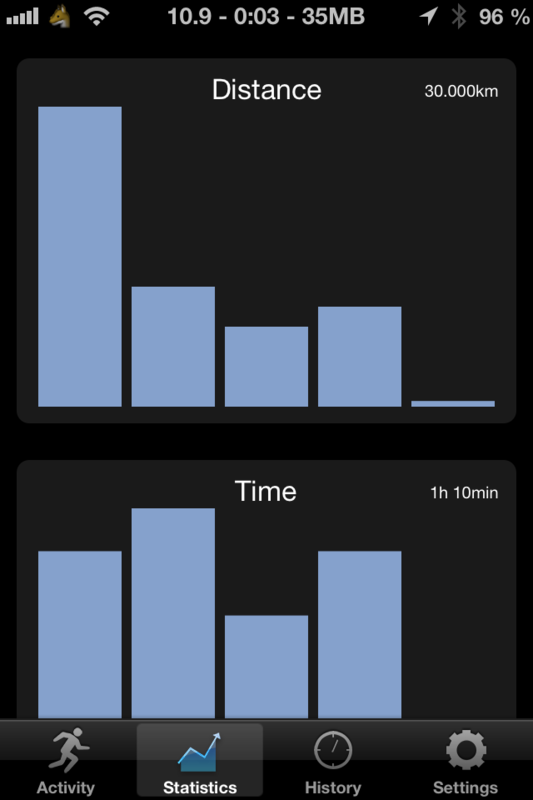 View statistics of your activities and see how much you have improved.